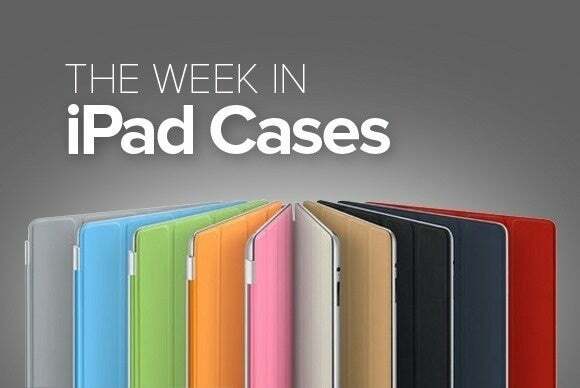 This week’s roundup of new iPad cases includes crafty designs with quickly-removable covers, elegant leather sleeves for simple but effective protection, and gorgeous bags. 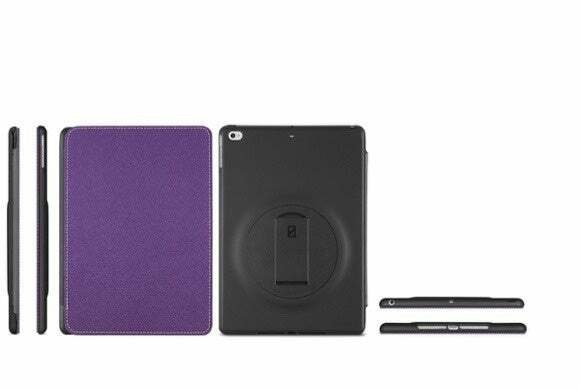 The Shockdrop (iPad Air 2; $60) is a rugged case with a focus on shock absorption and damage prevention. Available in black or red, the case turns into a stand in landscape orientation with two viewing angles; for extra peace of mind, it also features reinforced corner rubber bumpers, an integrated screen protector, and a port cover. 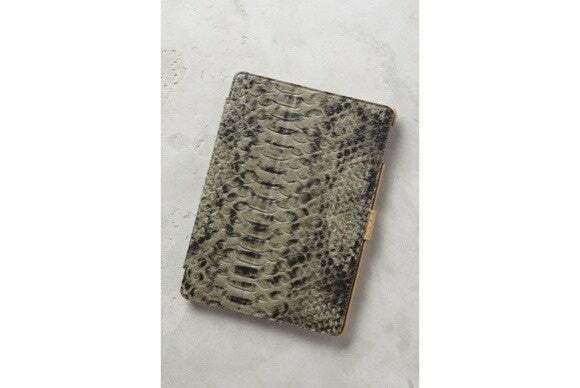 The Serpentes (iPad Air; $138), a case exlusively sold at Anthropologie, features a snake-embossed leather pattern for a fashionable, if somewhat peculiar, look. The case includes a hard shell that safely secures your iPad, sports a magnetic closure that helps prevent accidental damage to your screen, and turns into a viewing stand in landscape orientation whenever you want to watch your favorite shows. 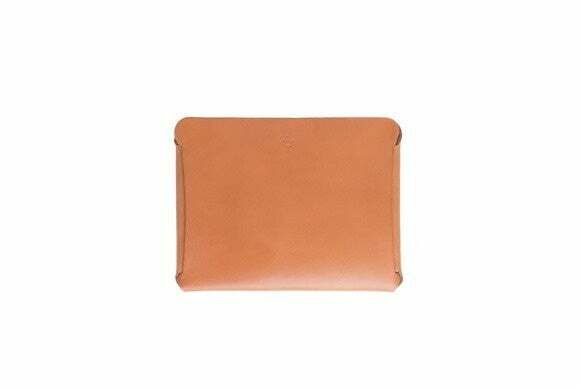 The Wickett (all iPad models; $180) is a sleeve designed to wrap your iPad in a cocoon of great-looking leather. Edge-painted by hand and heat-formed for a snug fit, the case features a unique tab construction that helps prevent untimely accidents, and comes in black or brown. The Framagrip (iPad Air 2; $145) combines a natural leather outer shell with an inner foamy material that offers extra padding for added peace of mind. 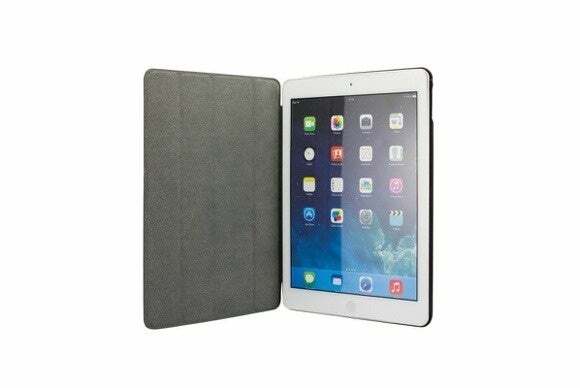 Lightweight and durable, the case includes a magnetic closure system that keeps the cover in place when not in use, and is compatible with the iPad Air 2’s magnetic sleep/wake feature. If you like to spruce things up, the Framagrip comes in multiple, vibrant colors, such as red, pink, orange, brown, black, yellow, blue, green, or white. Snowboarding company Quiksilver is putting its own spin on this branded iPad sleeve. 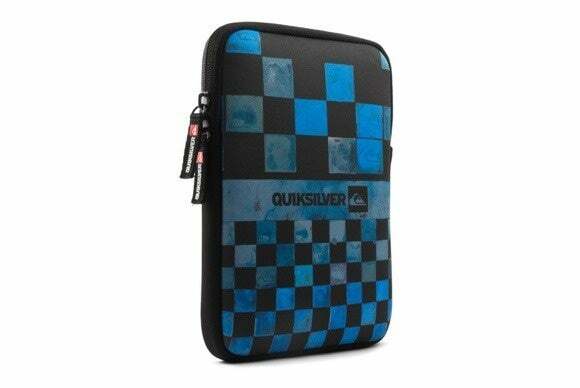 The Quiksilver (all iPad minis; $20) is a soft cover that sports a unique checkered black and blue pattern. Made from soft neoprene, the Quiksilver protects your iPad from scratches, smudges, and occasional bumps, and sports a zippered closure to keep things tight while you’re on the go. If you are looking for an alternative to the classic case, the Palo Alto (all iPad and iPad mini models; $325) combines protection for your iPad with the convenience of a full size cross-body bag. 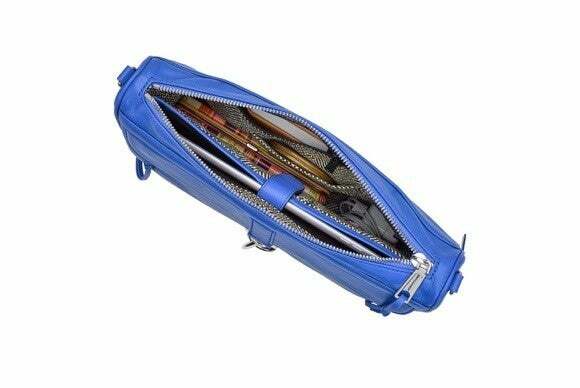 Made of genuine leather and available in brown, black, or blue, the bag sports a dedicated interior pocket where you can safely store your electronics, an adjustable strap for a snug fit, and a convenient slot that lets you quickly access your credit cards and photo ID. 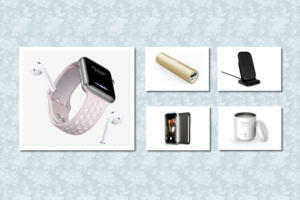 It's available exclusively at the Apple Store. 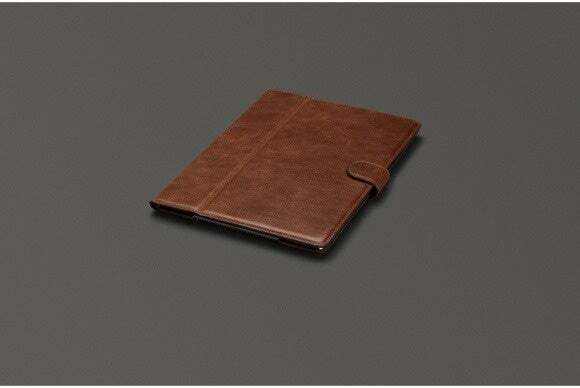 The Heritage Tab Folio (iPad Air 2; $120) snugly wraps your iPad in tumbled leather with a microsuede lining for an elegant—yet sturdy—protective solution. 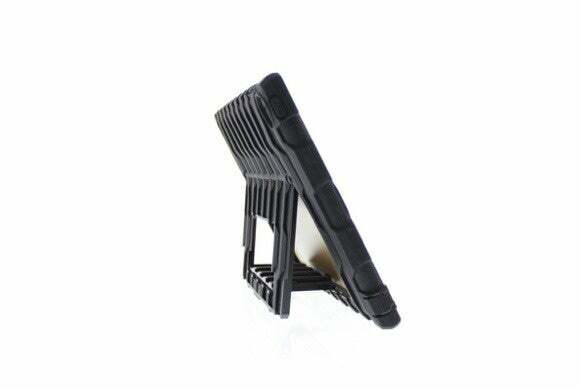 The case turns into a typing or viewing stand in landscape orientation, and features three card slots and a document sleeve where you can store your essentials. For extra safety, the Heritage Tab Folio also sports a snap-closure tab that keeps everything firmly secure when you’re out and about. It comes in black and cognac. The Microfolio (iPad Air 2; price unavailable) is a folio case designed to protect the most vulnerable parts of your iPad without adding too much heft to its construction. 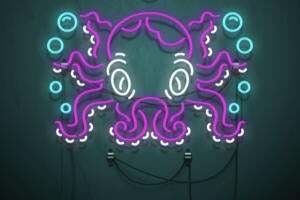 Details on the case are still a bit scant, but we know that it comes in white, red, black, blue or purple, and that it doubles as a handy viewing stand when you want to take in a show or two. 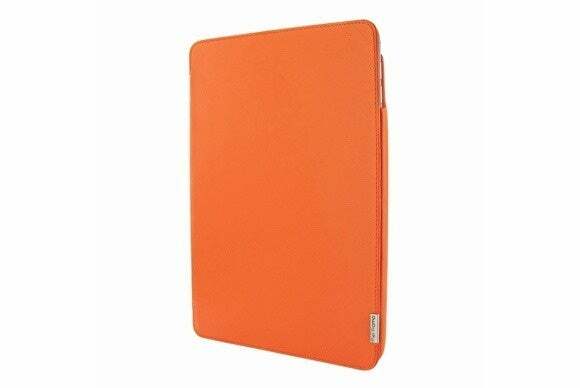 As its name suggests, the Folio-Slide (iPad Air and iPad Air 2; $70) features a versatile design, with a slide-on cover that can be easily removed to leave your iPad safely encased in a shock-protective TPU shell. The case turns into a stand in either portrait or landscape orientation with multiple viewing angles, and comes in a variety of lively colors, such as purple, red, teal, gray, or black.